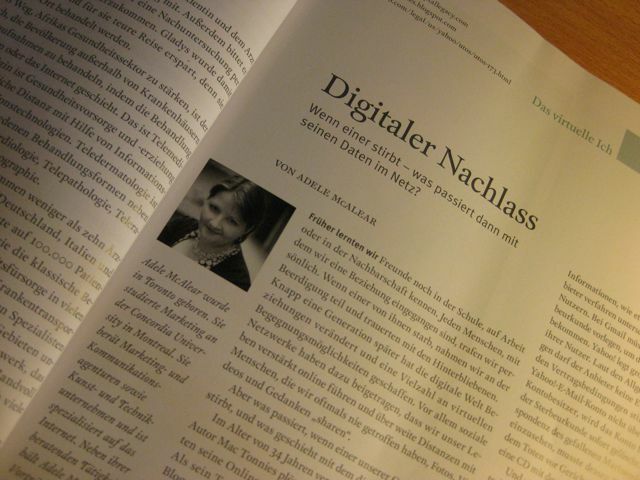 I’m very excited because I’ve just received my copy of Kulturaustausch in the mail and my article on Digital Legacy is in it! Does that make me a mainstream media writer now that my writing has been published in print? Although I took a few years of German in high school but it’s pretty rusty now. Hopefully my article was translated accurately from English. I guess I’ll have to transcribe the German text and run it through Google Translate to find out.